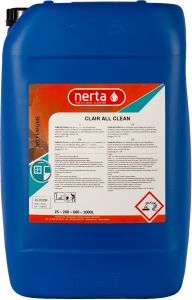 NERTA ALKALINET 20 is an alkaline, chlorine containing foam cleaner suitable to clean all types of surfaces. 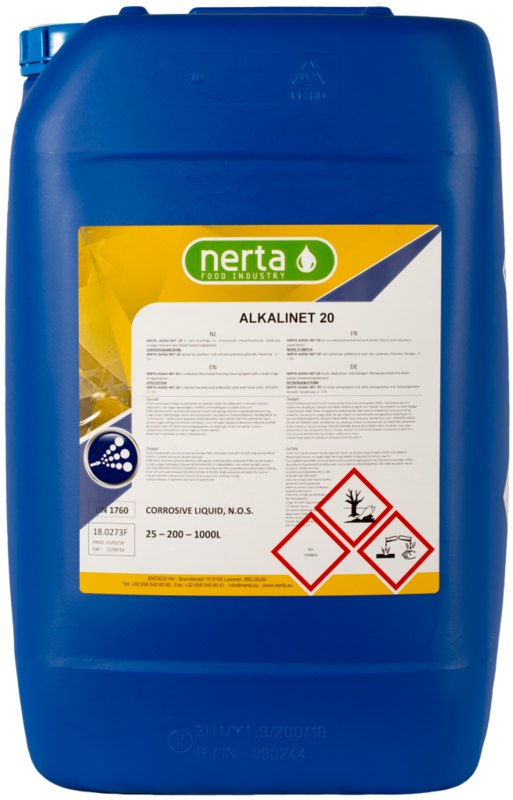 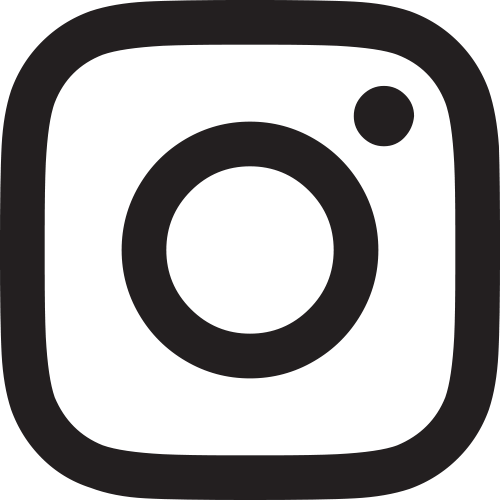 ALKALINET 20 can be used in the food industry to remove proteins, vegetable oils and fats. 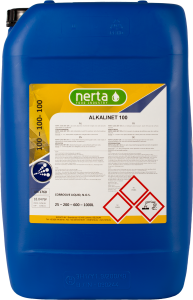 Together with warm water, NERTA ALKALINET 20 will saponify the present fats in order to avoid clogged pipes. 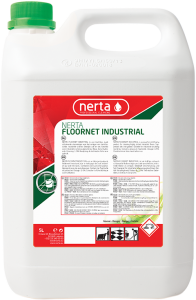 The product contains a high concentration of sodium hypochlorite, which guarantees a good cleaning as well as a perfect hygienic action. 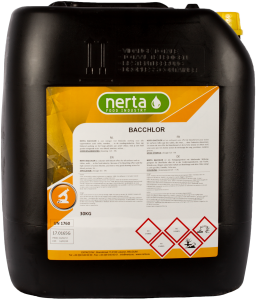 Moreover the formula contains potassium hydroxide which gives a better removal of blood and grease.  ALKALINET 20 is a highly foaming product and is preferably used with foaming systems.